Undocumented residents have special concerns, and infrastructure-related housing price spikes are a major issue. Ashlee Rezin Activists worry about gentrification spurred by transportation improvements like the 606 trail. In October leaders from the local Black Lives Matter movement talked with me about factors that affect travel options for African-Americans in Chicago, but that are sometimes overlooked by decision makers. These include subpar public transit service, unsafe walking conditions, and limited access to bike facilities, as well as expenses like train fares and traffic fines that can be significant for poor and working-class people. Worries about street crime and police abuse also influence their transportation choices. Last week local Latino and Latina social justice activists told me that their communities deal with similar challenges, as well as unique concerns undocumented immigrants face when it comes to navigating the city. In addition, Chicago's Mexican-American and Puerto Rican neighborhoods seem to be especially susceptible to the gentrification and displacement sometimes associated with bike lanes, trails, and transit-friendly housing. Lynda Lopez, a member of the Humboldt Park chapter of Grassroots Illinois Action; Alma Zamudio, who has worked with several different Latino affordable housing, labor, and social justice organizations; and José López, executive director of the Puerto Rican Cultural Center, all agreed to share their thoughts on these issues. 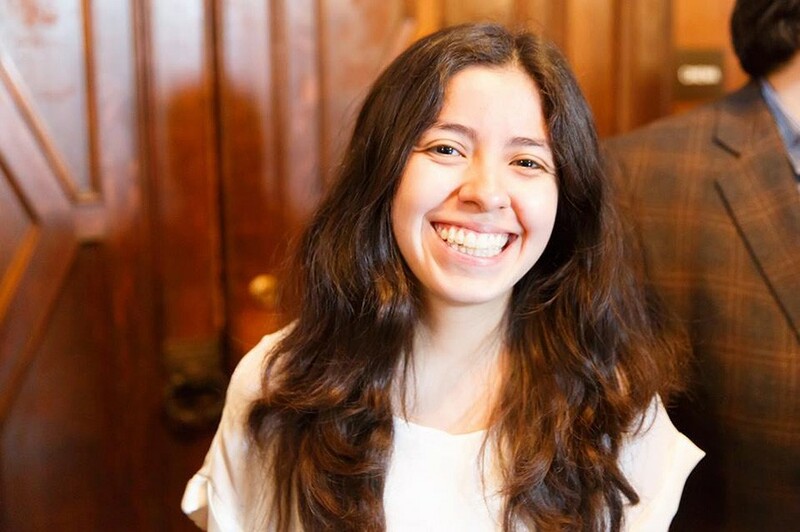 Lynda Lopez, a 25-year-old Mexican-American, was born in Chicago and lives in Hermosa. She works at the Brighton Park Neighborhood Council doing youth outreach, and, for disclosure, occasionally freelances for Streetsblog Chicago, the website I edit. We started off talking about the particular challenges faced by undocumented immigrants. 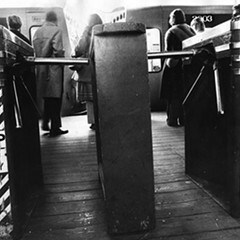 "Undocumented residents often live in areas with poor public transit access," she said. "There's a big intersection between immigration and transportation—where you can afford to live, where your job is, and whether you can afford to drive. . . . "You see people getting up really early to make it to low-wage jobs via CTA." Illinois did address one big transportation issue for undocumented immigrants in 2013, when the state began issuing "temporary visitor driver's licenses" to people without visas. However, Lopez said, our country's dysfunctional immigration system has made everyone less safe when it comes to hit-and-run crashes. "When you're an undocumented resident, there's a constant fear that any interaction with the police is going to lead to immigration problems," she said. She said she believes this apprehension causes some undocumented drivers to flee from crashes without reporting them, even if they're not at fault. According to data released by the city of Chicago, between 2005 and 2014, two out of every five local pedestrian fatalities involved drivers who fled. Zamudio, also 25, was born in Guanajuato, Mexico, immigrated to Joliet with her family when she was four, and now lives in Pilsen. Earlier this decade she helped organize a campaign by the Little Village Environmental Justice Organization and other groups to restore CTA bus service on 31st Street. Since Little Village is a blue-collar Mexican neighborhood—with the highest percentage of residents under 18 of any Chicago community, according to the U.S. Census—it has a high demand for transit service, as do most other local Latino neighborhoods. The route had been canceled in 1997 due to low ridership, leaving the #21 Cermak and #60 Blue Island/26th Street buses as the only east-west bus lines serving Little Village. "So if you lived in southern Little Village you had to walk all the way up to 26th or Cermak," Zamudio said. "Old people couldn’t walk all that way, and some residents are afraid to walk on certain blocks." They won a partial victory in summer 2012, when the CTA agreed to extend the existing 35th Street bus line west to include 31st Street between Kedzie and Cicero. Since then, the Bridgeport Alliance and other south-side groups have successfully lobbied the CTA to test an additional bus line farther east on 31st Street. The six-month pilot launched in September. José López, 67, was born in San Sebastián, Puerto Rico, and moved to Chicago as a child in 1959, when he was nine. In 1973 he cofounded the Puerto Rican Cultural Center, which has led efforts to maintain the greater Humboldt Park area's Puerto Rican identity. He emphasized access to cycling infrastructure, saying that while overall public transit access isn't as much of an issue in greater Humboldt Park, due to the presence of the Blue Line, he's interested in creating a full network of low-stress bike routes in the area. "I really think we gotta start thinking outside the box in terms of transportation," he said. Notably, López and the cultural center weren’t always so supportive of bikeways. In 2003 the Chicago Department of Transportation first proposed extending Wicker Park's Division Street bike lanes west into Humboldt Park's Paseo Boricua business district. The PRCC viewed the lanes as a symbol of gentrification and asked then-26th Ward alderman alderman Billy Ocasio to veto the plan. 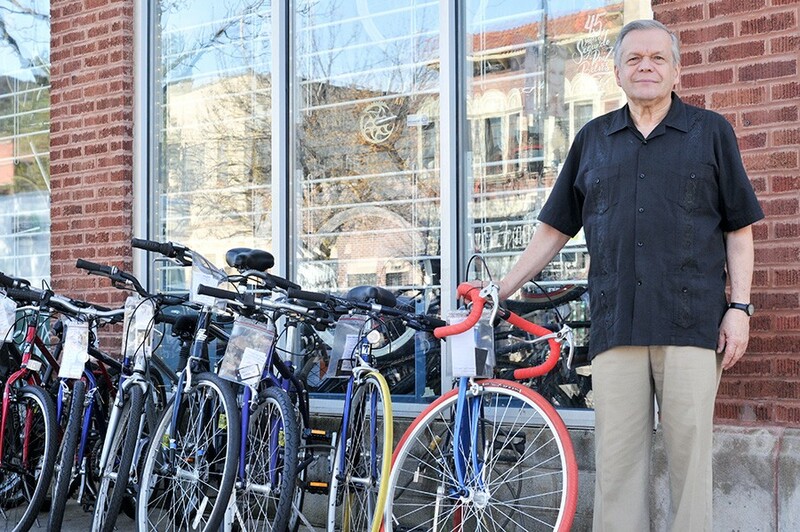 But later that decade, the bike-education center West Town Bikes and its retail outlet Ciclo Urbano opened on the strip—with the cultural center's blessing—creating educational and employment opportunities for local youth. 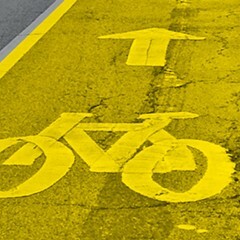 In 2012 the PRCC finally allowed the city to stripe the bike lanes. "By then it was not something that was being imposed but something that had more community acceptance," López said. Still, the Bloomingdale Trail elevated greenway, which opened last year along the border of Humboldt Park and Logan Square, as well as the current proliferation of upscale transit-oriented developments along Milwaukee Avenue, have recently fueled concerns about Latinos being priced out of nearby areas. 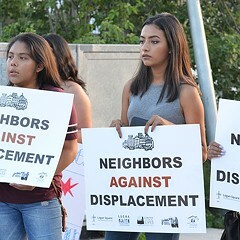 All three activists said that the while Bloomingdale, aka the 606, started out as a grassroots, neighborhood-driven initiative, after the city took over the project it turned into a high-profile attraction that has created a real estate boom, accelerating the ongoing displacement of the area's poor and working-class residents. A recent DePaul University study found that single-family home prices near the trail have risen by nearly 50 percent over the past three years. José López acknowledged that the Bloomingdale Trail is an excellent resource for biking and walking, but says he thinks the trail is "being used a lot more by newcomers than longtime residents." 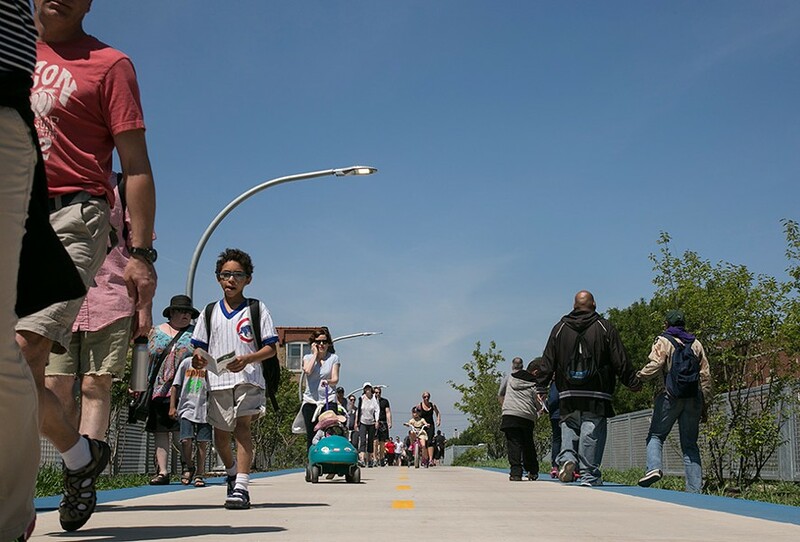 At last week's Mayor's Pedestrian Advisory Council meeting, UIC professor Sharon Zenk shared the findings of a new report that concluded that, based on interviews and visual observations, Latinos are underrepresented among trail users. Lynda Lopez and Zamudio have both been involved with efforts to preserve affordability along the trail. With Grassroots Illinois Action, Lopez helped stage two property tax workshops last summer for home owners, and the group is now working with residents to brainstorm other strategies, such as creating renters' associations and an affordable housing plan for Humboldt and Logan. 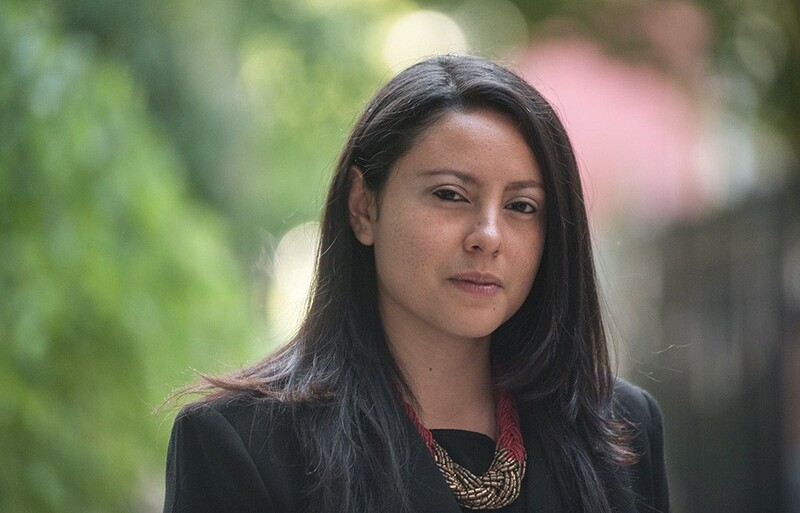 During her time with LUCHA, Zamudio worked on zoning issues for Tierra Linda ("Beautiful Land"), an affordable housing project that will be built on vacant lots close to the 606. Zamudio is also a member of Somos ("We Are") Logan Square, which along with other activist groups has argued that the trend toward high-end transit-oriented development along the Blue Line is forcing Latinos out of the area. The building boom was largely spurred by Chicago's recent transportation-oriented development ordinance, which waives the usual off-street parking requirements for projects near train stations. Although First Ward alderman Joe Moreno requires that 10 percent of the on-site units be affordable, in accordance with city guidelines, the activists have been pushing for a higher percentage of affordable units with lower rents. Somos has been protesting the planned eviction of three working-class Latino families from an existing building at 2340 N. California to make room for a planned 138-unit TOD building with 20 affordable apartments. Although current owner Francisco Macias gave his tenants 30-day notices this summer, the residents have refused to leave. Last week Somos members confronted the developer, Enrico Plati, while he was at the Logan Bar & Grill. "One month is not enough to move," a young woman tells Plati in an edited video of the incident. "I am not in a position to make that decision," he replies. Lynda Lopez noted that while assets like plentiful housing near the CTA and multiuse trails are generally a good thing for neighborhoods, they can wind up having unintended consequences for lower-income Latino residents. 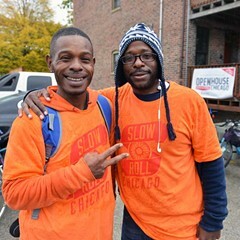 Slow Roll Chicago and other transportation activists call on the crash-elimination movement to confront systemic racism. A proposed ordinance aims to ensure new recreation trails and transit-oriented development don’t force out longtime residents.